The proof is in the picture, right? LOLl!! The above image was made just after a passionate kiss by the B&G (see below) following their ceremony at St. Cecilia's in downtown Boston. 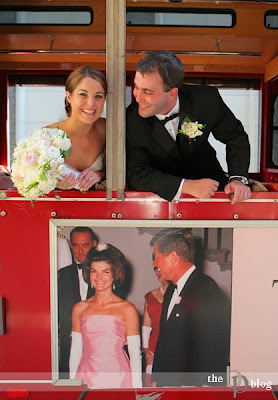 They hopped onto the trolley and then lined up perfectly with the image of the Kennedys. 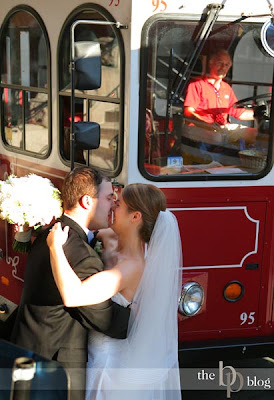 I do admit however that I prompted the groom to look at his bride to mimic the picture below. And I liked the trolley driver in the above image. His casual glance at such a wonderful moment completes the picture for me. I am always looking to incorporate other elements in my images to help avoid one dimensional pictures.